Our Technology | SUN-EH ELECTRIC CO.,LTD. San-eh Electric Inc. which started up as a manufacturer and supplier of transformers in 1969 has constantly pursued the concurrent technology and total solution for more than 40 years as a transformer maker highly knowledgeable about winding technique and also as a power supply manufacturer with analog circuit technical expertise accumulated through long experience. As a result, the quality and cost we offered has come up to customer's expectations in terms of realization of shortened development period and optimal use of resources, environmental regulation including RoHS・REACH, compliance with safety regulations. 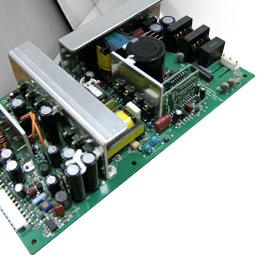 A switching power supply system is mounted on broad variety of products ranging from industrial equipment (OA/FA equipment, automatic vending machine, disaster prevention equipment and so forth) to business machine, information technology equipment, high voltage equipment and backup power supply. 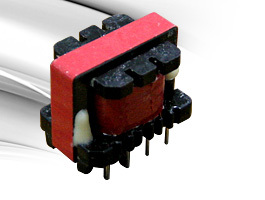 Production of switching power supplies from single to multiple output voltages in accordance with each country's safety certification has continued with a unique low noise and low ripple technologies. Medical equipment manufacturers who tend to be very severe to us have a high level of confidence in us. And, flexible supports are available to respond to customer's needs for lighting devices for special lamps and next generation lights including organic EL by making use of inverter control technology in pursuit of matching special lamps such as UV, xenon, HID and laser. 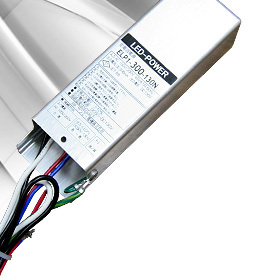 Know-how acquired through the design technology about the switching power supply has made it possible to develop the power supply for LED lighting of constant current type. This equipment will become one of our product lines. Along with the achievement of high efficiency (about 93%) and high power factor (0.99) together with a long life design, the power supply contributes to environmental ecology and CO2 zero emission. In order for customers to use the best performance of crime prevention lights, street lights, road lights etc even in outdoors, those products are able to deliver a high waterproof and dust resistance features (IP65 level) which have been made readily available by high voltage power supply design and filling technique nurtured by production for a long time. Lightings consist of thunder resistance surge performance reinforced type (our examination value common Mode 15KV correspondence) and also dimmer capability type capable of coping with unexpected lightning caused by recent abnormal weather. Each unit has passed PSE Certification. Lightings are compatible with various transformers including power supply transformers, high-frequency transformers for switching power supply, high voltage transformers. Based on the synergy between 'Technological group' that aims at a further innovation and visualizes the market trend, and 'Manufacturing group' that aims at manufacturing in the future, how to improve service quality and satisfaction always comes to the first priority with a focus on the development and production of products from customers' perspective.